【TGS DAY 5】Taipei Game Show 2019 Made A Great Success ! Taipei Game Show 2019 (TGS) officially ended on Jan. 28. This year was the first time the event was held in TWTC Hall 1 and Hall 3, and the organizers announced that TGS will relocate to Taipei Nangang Exhibition Center in 2020 to increase the diversity and quality of the content, also, announcing the numbers for the B2C Zone, B2B Zone, and Asia Pacific Game Summit (APGS) at the closing of the show. A total of 426 exhibitors from 24 countries with 2,144 booths in the B2C Zone (TWTC Hall 1), B2C Zone (TWTC Hall 3), Board Game Wonderland, Indie House, and the first ever merchandise area. Throughout the 4-days show, 320,000 public visits entered the event to join TGS. This year, B2C Zone featured content on multiple platforms, including console, mobile, PC/online, and VR. A number of eSports brands, including Republic of Gamers, AORUS Gaming, HyperX, and Tt eSPORTS, also showcased their latest products. NVIDIA showcased at TGS for the first time, bringing their new-releasing GeForce RTX series desktop and laptop. The company also hosted several stage events such as “Call of Duty: Black Ops 4” and “Battlefield 5” to live streamers and gamers. As the first international game show of the year in Asia, TGS is the most important trading platform in the region, which all the game companies must attend for finding business opportunities. They’ll also choose to announce the Chinese version for AAA titles and release dates, which included “Kingdom Hearts III”, “SD Gundam G”, and “Catherine: Full Body”. 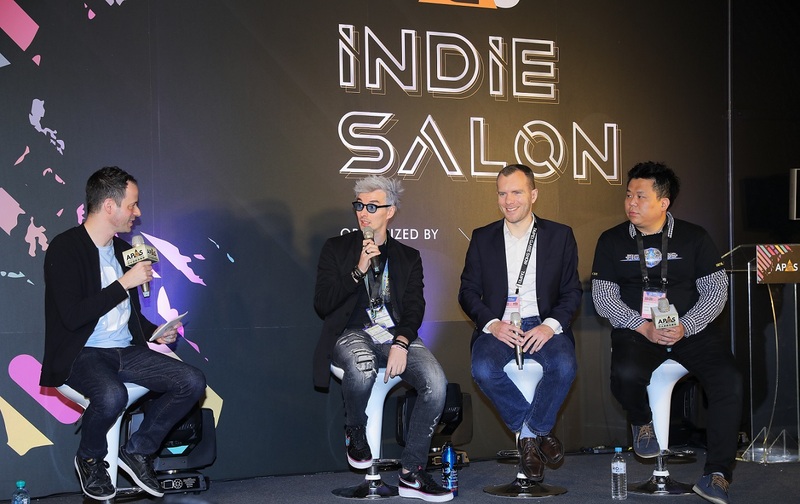 B2B Zone is the largest indie game IP-trading platform in Asia, and in 2019 the event acquired game-industry professionals who came to Taiwan from 24 countries to seek business collaboration. About 60% of the exhibitors were multinational corporations, with Japan, Korea, China, Hong Kong, and Singapore leading the way of Top 5. In addition to the increasing of exhibitors, B2B Zone also drew 2,469 trade visitors from 25 countries. Most of them came from Northeast Asia, China, Hong Kong, and Macau. The highly anticipated Indie Game Festa and Indie Game Award also attracted tons of visitors and overseas media to make coverages. APGS drew a large number of audiences to 24 seminars, which analyzed six topics game-industry in trends from different angles. The summit invited industry heavy-weights to share their insight in Chinese, English, and Japanese. Of all the topics, the eSports panel and VR application–integration sessions received the greatest response, as the attendees proactively interacted with the speakers. APGS also partnered with IGN Japan to host the Indie Game Panel, sharing the development and marketing secrets, which attracted many students who planned to join the game industry as their career in the future. 2019 TGS exhibiting areas were divided into categories, separating highly popular areas such as console, mobile, PC/online games, and eSports brands were placed in TWTC Hall 1. And indie teams, board games, and the merchandise area were in TWTC Hall 3. Gamers were directed to different entrances, depending on their preferences, to solving the issue of congestion caused by stage events. With the effective traffic separation, 320,000 public visits could move smoothly in and out. Also, gamers were able to visit different areas or halls to experience all kinds of gaming platforms and enjoy better gameplay experiences. 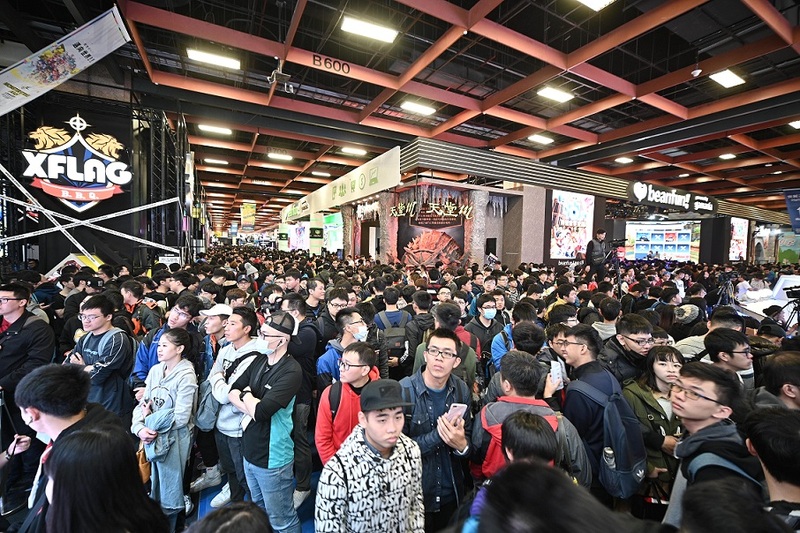 To further accommodate the growing numbers of exhibitors, gamers, and media, the organizer plans to relocate the event to Taipei Nangang Exhibition Center in 2020. Next year, TGS (Feb. 6–9, 2020) will feature more than 3,000 booths, a spacious exhibition hall, and a massively improved gaming experience.